Um, no thank you. A few too many chemicals and ingredients for me! Alot of “recipes” for wipes that I’ve seen out there use baby shampoo. To me, that isn’t much better than the chemical filled baby wipes listed above as most shampoos often contain similar, if not worse, ingredients. 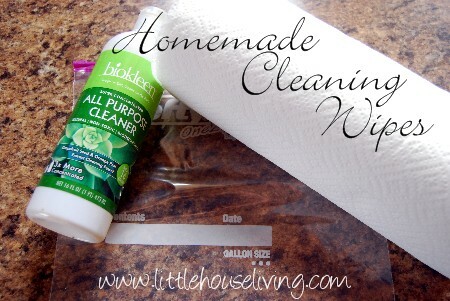 So if you are wanting to make your own, totally natural wipes, here’s a great recipe! 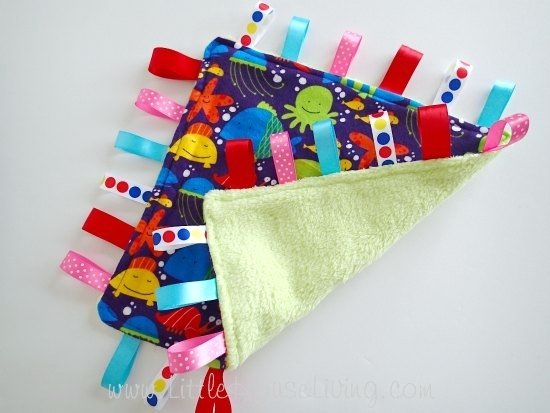 You can either use good paper towels or scrap fabric for the actual wipes. I recommend using fabric because you can reuse them as much as needed without having to buy more. Wet wipes and place in a resuable container (you can use an old, clean baby wipes container) or keep the solution in a spray bottle and just spray on towels or cloths as needed. You can make your own cloth wipes (I would recommend using flannel for the fabric) or you can buy an inexpensive set of reusable Flannel Wipes on Amazon to get you started. Love this recipe and want to find more projects just like this one? 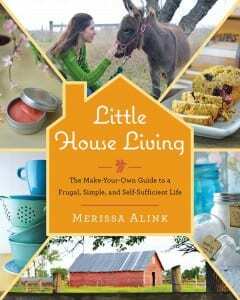 You would love my book, Little House Living: The Make Your own Guide to a Frugal, Simple, and Self-Sufficient Life! It has over 130 DIY recipes for household, beauty, kids, and so much more. You can get your own copy here. You might also want to make…. 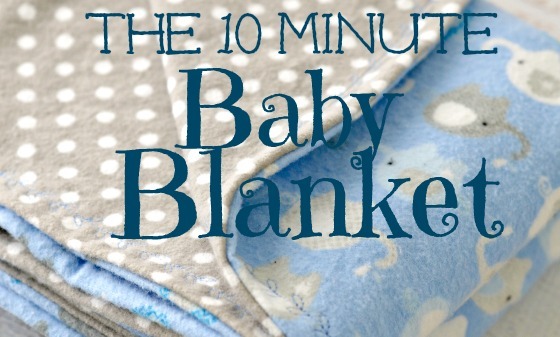 Would you ever make homemade cloth baby wipes? ugg. Whoever would have thought. I make my own body cream, diaper rash cream, etc to try to avoid silicones on my baby and me. Little did I know it is in his wipes. I don’t really want to go to reusable ones cuz I don’t want to wash them, but I’ll have to seriously consider it now. Thanks for the post! Do I dare ask….What about sanitary napkins? Use cloth sanitary napkins. You can make your own or there are quite a few companies that sell them. They are wonderful and if you try them you just might find you will never buy disposable ones again. We make cloth sanitary napkins for young girls in poor countries. We used PUL fabric to make it waterproof in the inner layers. They aren’t that big of a deal to make. Is there anything wrong with just using water? Beth, I started out making a solution similar to the one above, but then I got lazy (and sleep deprived) and just used water. It worked fine for us. How about Seventh Generation wipes? They don’t look too bad. Here are the ingredients: Water, Cetyl Hydoxyethylcellulose (plant-derived cleaning agent), Glycerin (vegetable oil derived), Citric Acid (provides stability & pH balance), Aloe Vera (Aloe Barbadensis) Extract, Tocopheryl Acetate (Vitamin E), Potassium Sorbate, Sodium Benzoate (food-grade preservatives). Thanks for this post. I do Thai Yoga Massage and like to clean peoples’ feet before I work on them. I’ve been looking for something natural to make myself – this will work perfectly! Is there an ingredient that can be substituted for the Aloe Vera gel? You could just leave it out and they would still work fine. Another recipe I’ve used calls for baby oil and soap. I also used it with pre-soaked paper towels. The whole batch grew black mold, so I’m excited to see a different recipe, one without vinegar that is. Should I try the baby oil in this recipe? I wouldn’t add the baby oil, this recipe will work just fine without it and it could clog up baby’s skin. That’s what I was thinking. Thank you Merissa! I just switched to cloth wipes in homemade solution. The solution recipe I found calls for 1.5 c water(I boiled mine first), 1 tbsp coconut oil, 1 tbsp aloe gel, and 1 tbsp baby soap. I’ll have to try your recipe next, I like the idea of witch hazel and tea tree oil. I use cloth diapers and love them. I also. Have been making my own wipes. The baby wash I use is all natural so I like that recipe but love the idea of cloth wipes as well. It would be easy to just throw them in the wash with the diapers! For this recipe, about how many wipes do you get per batch? I bought the washcloths from amazon you recommended (I think it’s a set of 15) and am wondering if you soaked all of those. It works best if you just spray it on the wipes, instead of soaking them, and you should be able to do that entire package with one batch no problems. Hi, I like your post but I am wondering…how many days could I keep the wipes soaked in the bag safely? you know since we try to avoid strong and harmful preservatives. If you use paper toweling I wouldn’t keep them for longer than a month. You could also mix up the solution as a spray and just spray on each wipe before you use it, it would last much longer that way. Hey Merissa, I just bought some witch hazel from the store, and after I brought it home, I noticed that it says it’s 13% alcohol. I worry that that would burn if my littles have diaper rash? Or is this how all witch hazel comes, and is it so low that it won’t bother them? I would just leave it out of the mixture if your little one suffers from diaper rash or replace with purified water. I have used a good witch hazel on my skin as a toner and have to dilute with water by over 1:1. So I would not do this full strength at all as very drying. I make my own disposables. Cut paper towel roll in half, and pour over solution of 1c water 3 drops tea tree oil 5 drops lavender oil and 1 tsp almond oil. Works great. Been using cloth wipes for six months and love them! I use water, liquid Lavender castile soap, a dash of calendula oil and lavender eo. Easy. Smells so herbal and good. I don’t measure, just throw in, stir with fingers and throw dry wipes in. No time for more with babies. I just made these and they smell horrible. I added the essential oil and aloe vera…I was wondering if the type of witch hazel you buy would matter. I bought the off brand. Would it have made a difference if I bought name brand? I’ve used pre-made witch hazel face wipes before so I know the basic scent of witch hazel and it’s never bothered me before. I really want to use a homemade mixture that doesn’t include baby oil, wash or shampoo and this seems to be perfect…except for the smell (for me at least). So far I’ve only used the Dickinson brand witch hazel. I’m not sure if that makes the difference but it definitely shouldn’t smell bad. Thanks so much for more unique idea’s to share on my ‘This & That’ site. Would distilled water be okay to use instead of filtered? I’m wondering about bacteria growth on the wet washcloths or paper towels. 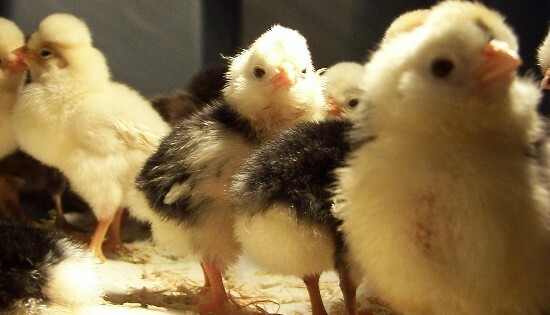 If they are in a closed container and water in it. Make sure to use filtered water and only make an amount of wipes that can be used up within a week or two. Personally my favorite method is to simply spray them as I’m using them.